Yesterday I mentioned the “lung cancer gene.” This is interesting stuff to me, and exciting for a potential cure to lung cancer, the No. 1 cancer killer. Several years ago, researchers isolated a gene mutation that appears to mark whether you are at risk for lung cancer. It’s a weak excuse to keep smoking. I remember having that very argument with my mom 30 years ago when my dad died of lung cancer. But, they’re right in that only about 10 percent of smokers ever develop lung cancer. 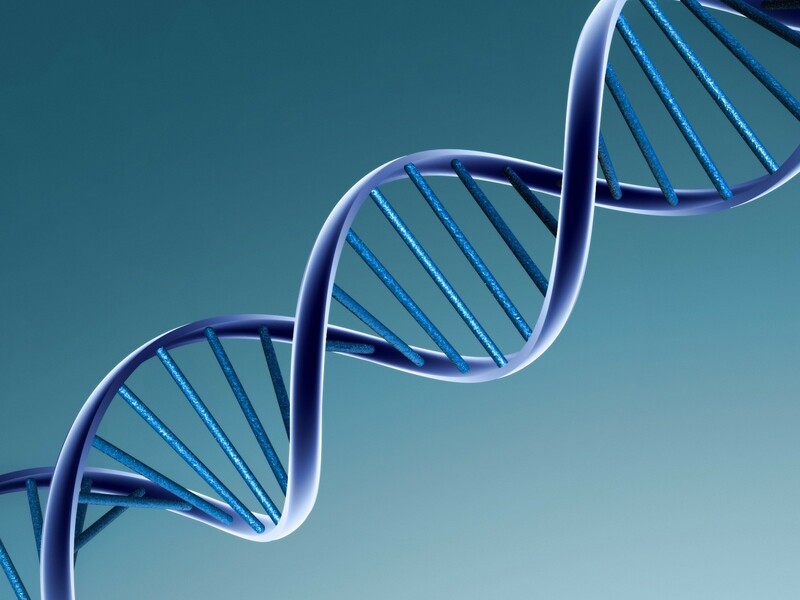 This lung cancer gene mutation could explain why and many other things. Here’s how it works, keep in mind that 15 percent of the people who get lung cancer (and 20 percent of women who get lung cancer), never smoked a cigarette in their lives. Why do some nonsmokers get lung cancer and most smokers don’t? It’s been long known that cigarette smoking causes lung cancer by literally screwing up the DNA of the cells in the smoker’s lungs. Why do 10 percent of smokers have their DNA messed up and not all smokers? In 2008, it was announced that there appeared to be a genetic mutation behind lung cancer. If you have this genetic mutation, you are at increased risk to lung cancer even if you are a non-smoker. I’ve read that your risk is something like 30 to 80 percent higher than a nonsmoker without the gene. If you have this genetic mutation and you smoke, you are at extreme risk for lung cancer. One article I read long ago (can’t find it now), suggested that your odds of getting lung cancer are 50-50. If you do not have this mutation, smoke ’em if you got ’em, because you will likely NEVER develop lung cancer … however, this gene mutation has no effect on your chances of getting COPD or heart disease or other kinds of cancer from smoking. So, really, you’re just dodging one out of a potentially large number of bullets. If you do not have this mutation and do not smoke, your chances of ever getting lung cancer are astronomically low. Unless you’re breathing radioactive isotopes, you don’t even need to worry about it. You’re probably more at risk for being hit by lightning. This gene might also have something to do with why marijuana smokers do not appear to be at increased risk for lung cancer while cigarette smokers are. This is where the genetic issue gets even trippier. Not only does there appear to be a gene that makes certain people more susceptible to lung cancer, there also appears to be a gene that also makes some people more susceptible to addiction to nicotine. That could explain why some people can quit smoking while others cannot. It really has nothing to do with willpower. Some extremely strong-willed people simply cannot kick the nicotine, while others can do it and never look back. It might be genetic. What’s really weird are studies suggesting that the same gene mutation might be responsible for both increasing the risk of lung cancer and the susceptibility to nicotine addiction. Trippy stuff. How people evolved with these genetic markers triggered by tobacco is beyond me. Tobacco in its current form didn’t even exist until perhaps 150 to 200 years ago. What the North American Indians smoked thousands of years ago is nothing like the tobacco grown today. It’s a mystery. Anyway, the other exciting part of this is perhaps one day lung cancer will be treated via gene therapy. Already, in this day and age, if you want to pay the money, you can have a gene test done to see if you have this gene mutation. The down side to such a test is maybe some people will say, “hooray, I can smoke all I want now…” which would be a dumb response to such a test. Like I said earlier, you could still lose years off your life through COPD and heart disease by smoking. Another exciting development of this discovery is scientists are working on a drug to block the gene mutation before it ever develops into cancer. A study that came out last month determined that occasional post smoking doesn’t cause near the damage to lungs as cigarette smoking. 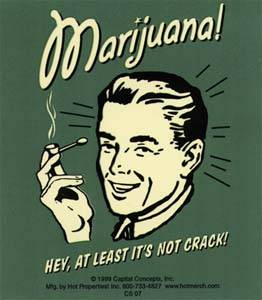 The study followed 5,115 regular pot smokers over the course of 20 years. This reminds me very much of a study done about 5 years ago showing that even chronic pot use doesn’t appear to lead to an increased risk of lung cancer. “We hypothesized that there would be a positive association between marijuana use and lung cancer, and that the association would be more positive with heavier use,” the study’s lead researcher, Dr.Donald Tashkin of the University of California at Los Angeles stated. “What we found instead was no association at all, and even a suggestion of some protective effect” among marijuana smokers who had lower incidences of cancer compared to non-users. So what’s going on here? Why is tobacco smoke so unhealthy and pot smoke apparently does minimal damage (though the article does point out that some studies have shown an increase in bronchitis and chronic coughs in pot smokers). 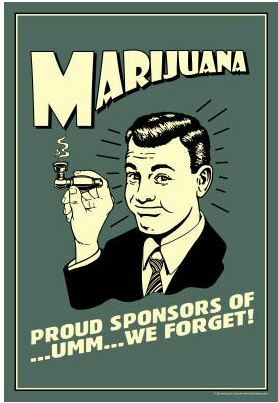 In any case, every major study on the issue has consistently shown that pot is considerably less dangerous to the lungs and heart than tobacco (not getting into whatever cognative damage chronic pot use might cause. When it comes to lung and heart, tobacco is far, far, far worse). Not to mention the difference of physical addiction between nicotine and THC. I quit smoking dope 20 years ago and it was the easiest thing I’ve ever done. No night sweats, no cravings, nothing. Why one continues to be illegal and the other legal continues to mystify me. And there doesn’t appear to be a lot of political will out there for legalizing dope. Pot smoke actually has some of the same toxins as cigarette smoke, but in different doses. One theory is that additives in cigarette smoke are making cigarettes so deadly, but I’m dubious of that one. People were dying of smoking in the 1930s long before the tobacco companies were pumping additives into their tobacco. Another theory is that tobacco smoke is ingested more deeply, but I’m dubious of that one, too, because pot smoke is ingested pretty deeply into the lungs. I have a theory that lung cancer (forgetting for a bit the heart damage and COPD that smoking causes) is both a genetic and environmental disease, which could be one big reason tobacco smoking causes so much lung cancer while pot smoking doesn’t. There’s been a lot of really interesting and exciting information that has come out about the genetic component of lung cancer the last few years. I’ll write about that in part two tomorrow. Bass Face writes about Nujabes. I saw the wolves as metaphors for death and the fear of mortality always nipping at all our heels. I certainly didn’t see them as real wolves. Many people will say, “it’s just a movie,” yet after Jaws, sharks were slaughtered by the thousands worldwide, in part because of the hysteria created by the film. “300,” helped do its share to create and inflame the narrative that Iranians and Easterners in general are evil, while it was the West and West alone that promoted freedom and justice. (Never mind the fact Spartans owned slaves and raped and murdered in conquest.). 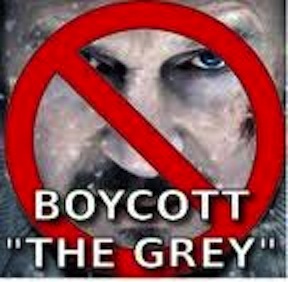 In fact, in many ways, “The Grey” reminded me a lot of “300,” — a technically well made movie that nonetheless embraces ignorance. Both movies are essentially fantasies. Wolves have come to weirdly represent everything wrong in America to some people — the federal government, environmentalists, rules, regulations. Wolves have become a metaphor for an out-of-control government bent on meddling in the lives of locals. In reality, wolves are just animals. Animals at the top of the food chain that eat to survive. 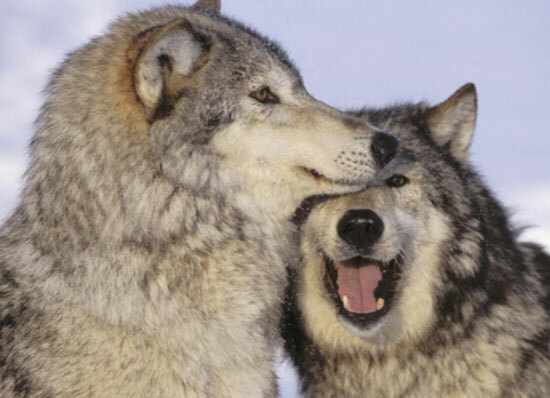 In fact, wolves have killed a grand total of two people in recorded history — two people in the past 150 years (perhaps wolves have killed some Indians before recorded history, but likely, this was very rare, as well.). More people than that die every year in the U.S. from domestic dog attacks. Back to the film. 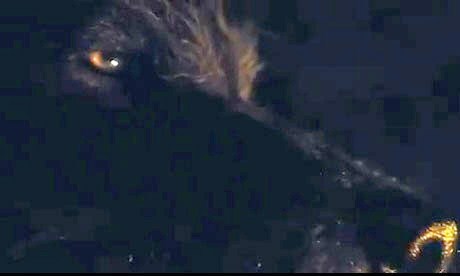 In “The Grey,” the wolves are not just animals, but devils lurking in the mists and trees, waiting to claim their victims. 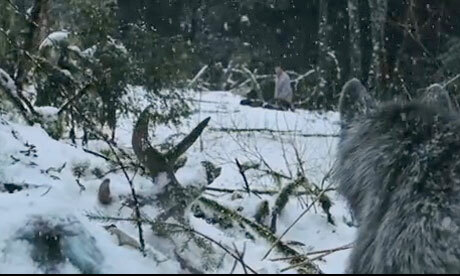 The movie, filmed in British Columbia, takes place in the Alaskan winter. A motley crew of oil workers returning from a long shift in north Alaska, are plunged into terror after a plane crash. It is a grim, brutal, bleak movie. One by one, the black devils, patient and efficient, come out of the mists and snow and take another victim. The survivors run, but they can’t hide from death. Each man faces their mortality differently, some stoic, others giving in to panic and then finally acceptance of their fate much like someone dying of cancer, while lead Liam Neeson like many of us, continues to fight and struggle against the inevitability of death because that is all he knows to do. Many of the survivors have reasons to struggle. Families and children back home. So they fight to survive and fend off death. The person who gives up admits he has nothing to live for, he has led an utterly empty life. In the end, we find Neeson has nothing to live for, as well. As he is surrounded by the demons of the snow and they back off and out of the mist enters the giant alpha. Liam Neeson decides to fight to the bitter end, facing death in his way, fighting for the sake of fighting, for the sake of life itself. Again, powerful metaphor. Powerful allegory. Too bad the poor wolves are picked upon to represent it.